Discuss with your would-be agent the fact that you would like to give him durable power-of-attorney. Handling another individual's property, finances and/or medical decisions is a significant responsibility. Explain to your would-be agent what may be required of him and ensure that he is aware of, and accepts, the responsibility before naming him as your representative. Obtain the forms necessary for awarding enduring power of attorney in your state. You can order these forms from a document preparation service or have your attorney draft them for you. Fill out the durable power of attorney form/forms. Name your agent and any alternate individuals to handle your affairs in the event that your current agent cannot do so. You cannot use one document as both a financial and medical power of attorney; you must execute two separate power-of-attorney documents -- one financial and one medical -- if you want an agent/agents to handle your financial transactions and carry out your health care decisions. You can also place limitations on your agent in either case if you so choose. Specify a time frame for the document. Durable power of attorney privileges generally go into effect immediately, but you can prevent this from occurring by setting a specific date that you want the document/documents to take effect. You can also specify a termination date if you wish. Make a checklist of rights, responsibilities and limitations your durable power of attorney should reflect. Review the document carefully to ensure that you included all of the necessary information. 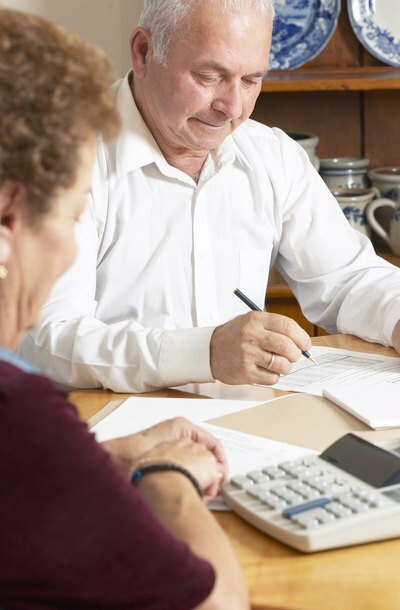 If you have an attorney, ask your attorney to review the power of attorney for any vague terms or stipulations that could cause confusion in the future. Make a copy of the unsigned document. Give the copy to your agent to review. Answer any questions he has about the terms, responsibilities and limitations it contains. Visit a notary public with your agent. Bring both copies of the unsigned and un-notarized durable power of attorney form. Sign both durable power-of-attorney forms in front of the notary public and ensure that your agent does the same. Have both documents notarized. Put your copy of the original durable power of attorney document in a safe place. Give the second original copy to your agent. Your agent will need the original document to prove his status as your representation when making future decisions regarding your property, finances and/or health care. Greene County Pennsylvania: Power of Attorney – What is a Durable Power of Attorney? Can a Power of Attorney Create a Will?